The Digital Research Library of Illinois History Journal™: Were there really train tracks through the center of Chicago Municipal Airport's runways? Were there really train tracks through the center of Chicago Municipal Airport's runways? 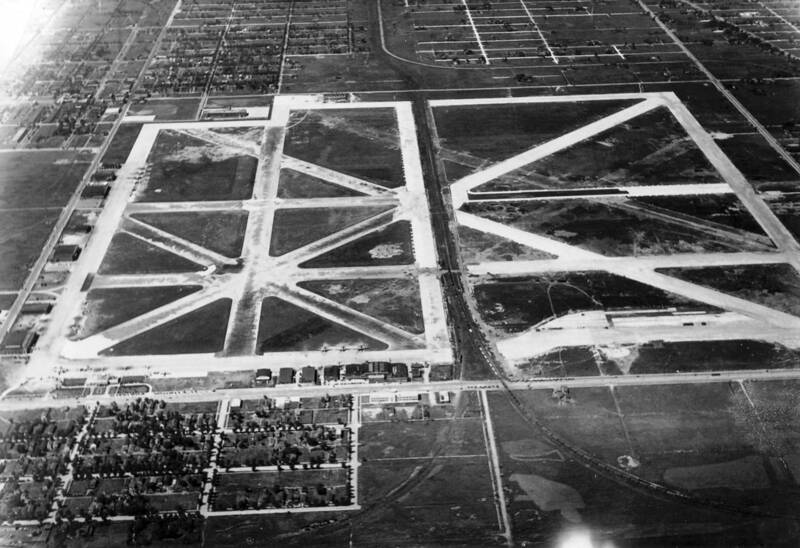 Originally named Chicago Air Park in 1923, the city leased the airport and renamed it Chicago Municipal Airport in 1927. 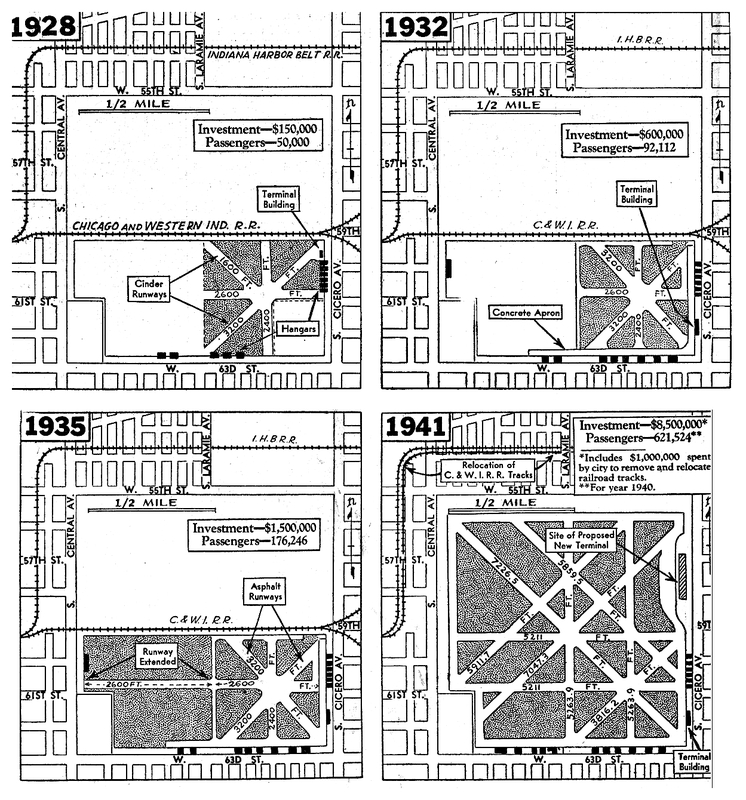 Then in 1949, the airport was renamed to Midway Airport to honor the 1942 Battle of Midway. In 1929, aviation officials warned the City of Chicago that the airport was too small, too crowded and bordering on unsafe. 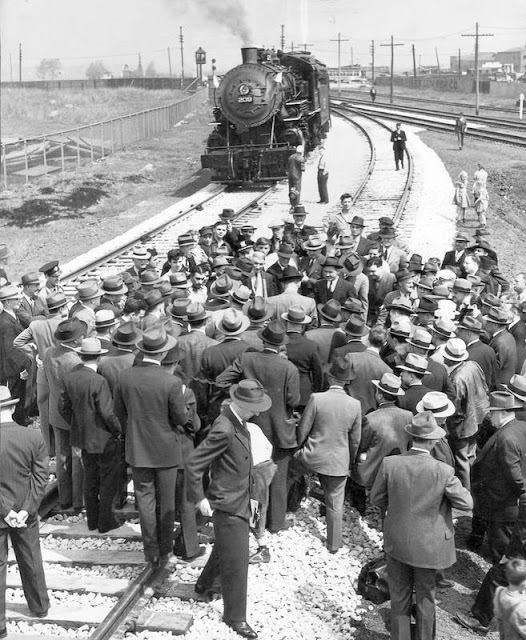 A major sticking point in the Chicago Municipal Airport's growth was the little problem of the railroad tracks running across the property at 59th Street, a ribbon of steel curtailing further expansion as effectively as a bird cage. 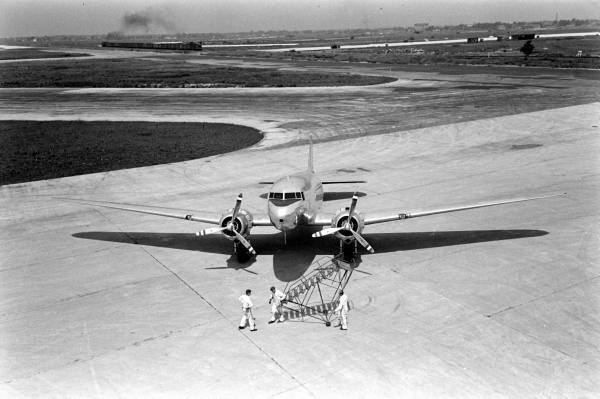 In 1936, as 50-passenger, four propeller airplanes were on the horizon, the airport was warned again of its limitations, this time by an infant United Air Lines. An aerial view of the Chicago Municipal Airport shows the old and new field bisected by railroad tracks. A train actually using the tracks in 1938. The sensible suggestion that the tracks be moved north of 55th Street would prove a herculean task involving the City Council, state legislature, Illinois Supreme Court and the federal government. 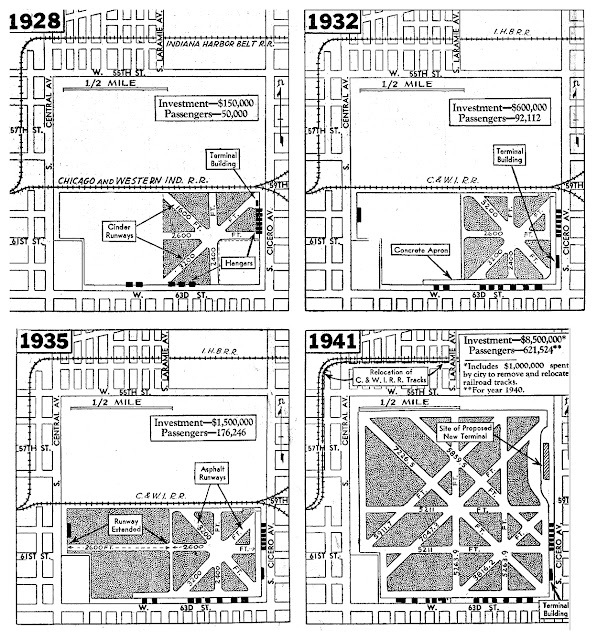 Original plan for the removal of the tracks in 1937. It took until 1941 to get the track moved. Indicative of the process, even after the new tracks were laid, the Chicago and Western Indiana Railroad refused to tear up the old tracks until the city paid money into an escrow account to cover $10,627 ($176,016 in 2017) they felt the city still owed them. Driving the Golden Spike to open the new track section. When Nathan Hale Elementary School was built in 1925, Chicago Municipal Airport was already a busy airstrip used for U.S. postal airmail flights. From 1925 to 1951 Nathan Hale Elementary School sat just a few feet from the end of a runway at the southwest corner of Chicago's Airport. For most of those years the airport was advertised as the "World’s Busiest Airport." A runway accident and other close calls prompted school officials to discuss moving the school, but the move didn't happen for another two years. The airport closed the runways close to Hale during school hours. Then in 1951, a new school, also named Nathan Hale, opened at 6140 South Melvina Avenue, two miles west of the airport. Amazing story, the builders of the airport did not have too much foresight!